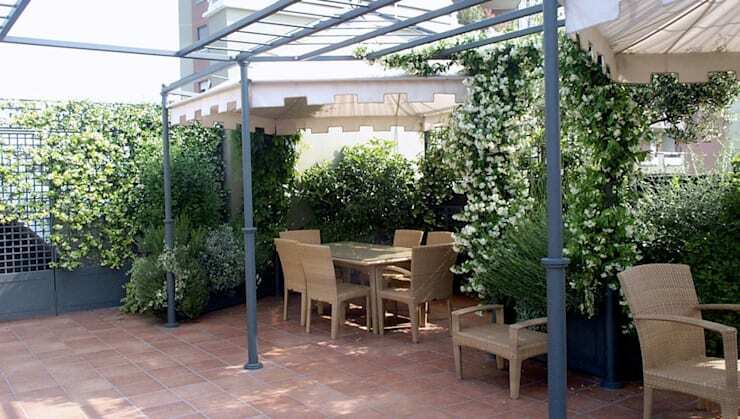 Do you want to transform your balcony or terrace into a friendly and charming setting, but do not know where to start? 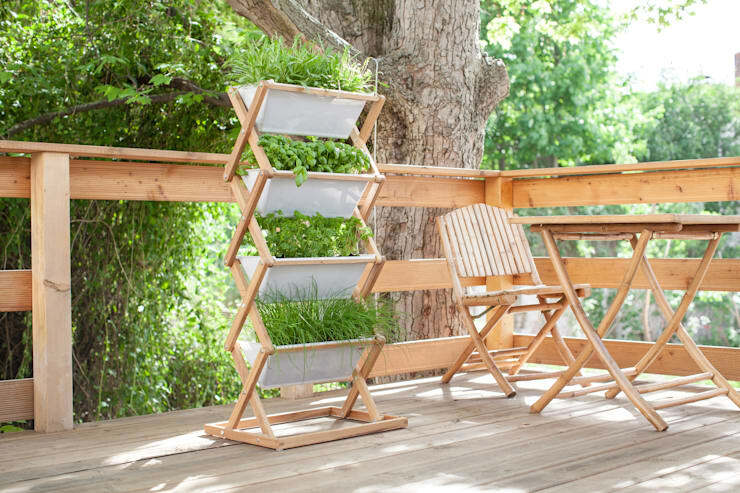 Well, you could find inspiration through the selection of these 18 balconies and terraces below to create a perfect relaxing place. 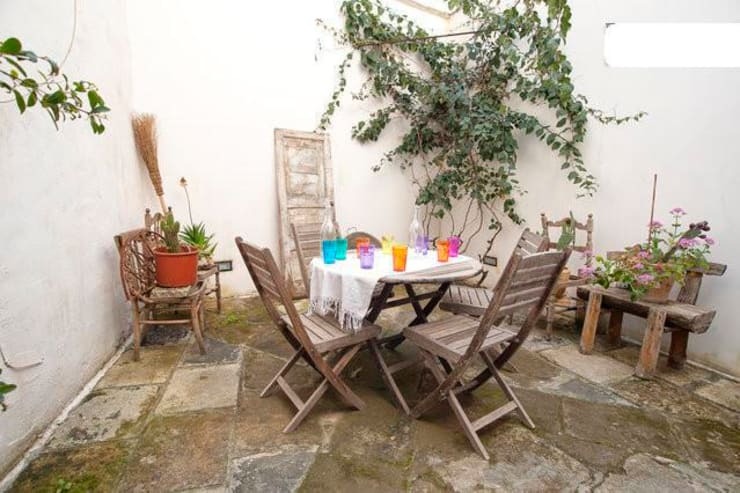 Despite a small space, you will see that with a little creativity, you can give a new life to the terrace to make it even more fascinating. 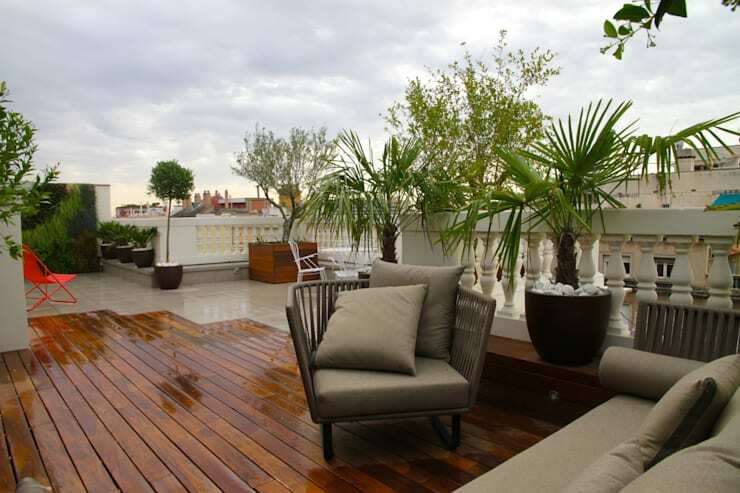 A natural stone flooring like this can add a magnificent touch to your terrace. To create a durable flooring you can also use polished wood. 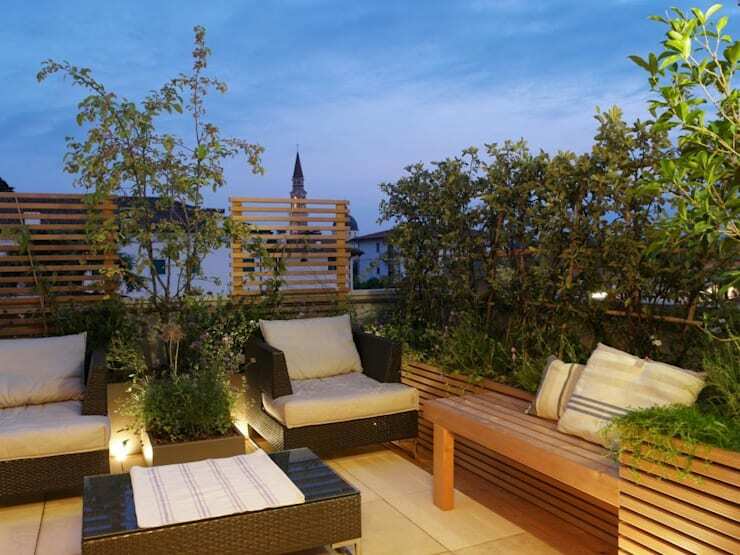 Outdoor areas can also look luxurious if one is willing to accessorize them with things like cushions. 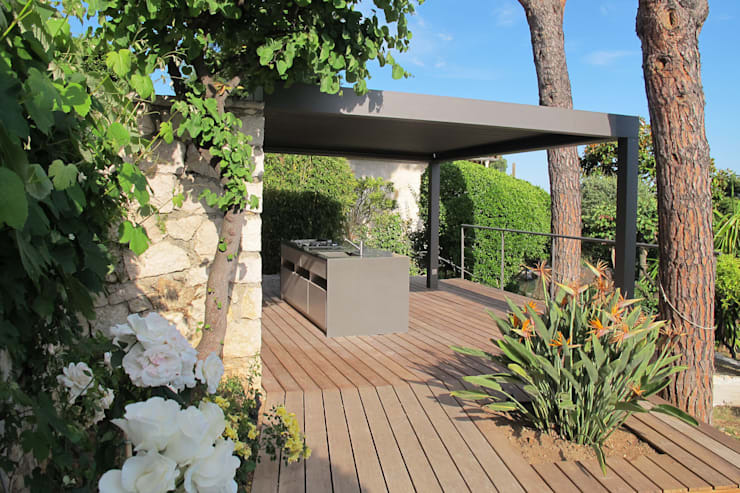 If you have enough space on your terrace then incorporating concrete flower beds can be a great idea. 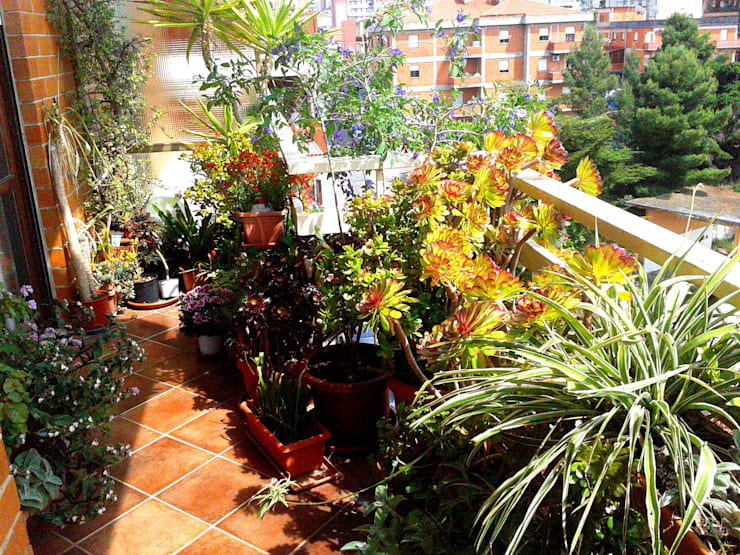 Smaller balconies or terraces can also make do with potted plants to get a beautiful vibe. 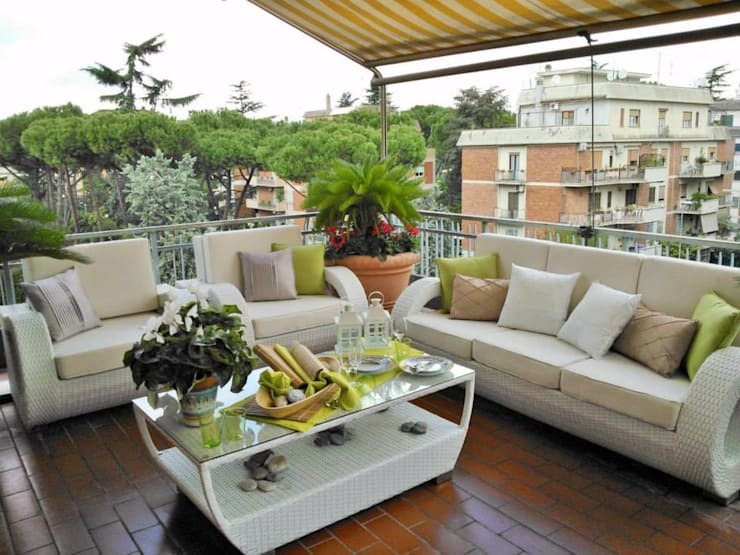 Artistic pieces of furniture can give your balcony a completely new dimension. 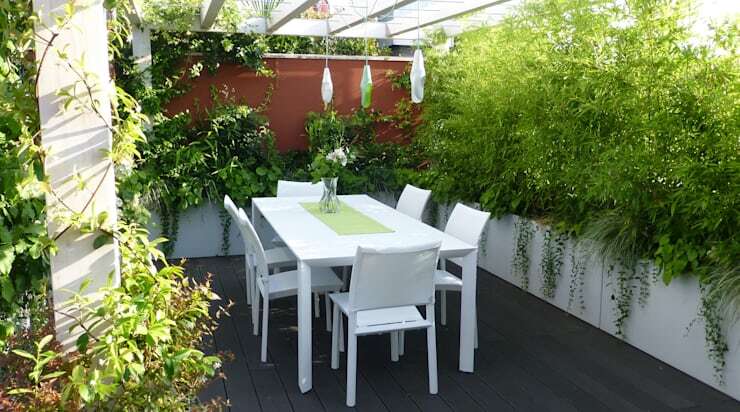 You can also create a practical outdoor seating by covering your terrace with the help of similar fabric sheets. 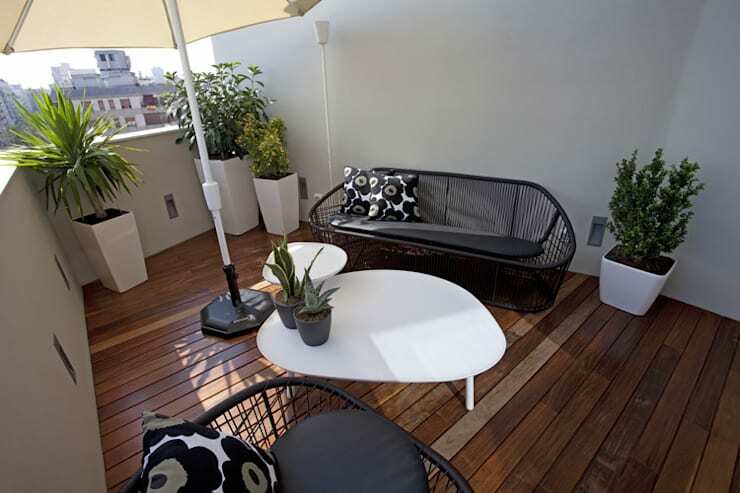 The most durable furniture that you can find for your balcony or terrace is the one made out of jute. Combining different elements or materials like wood, stone, and textile can also give you a fantastic outcome. 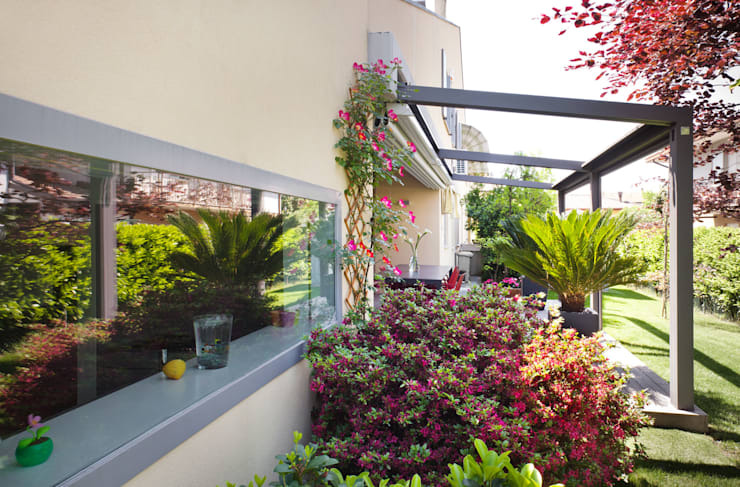 Using contrasting colours to decorate your outdoor space will make it look amazing. 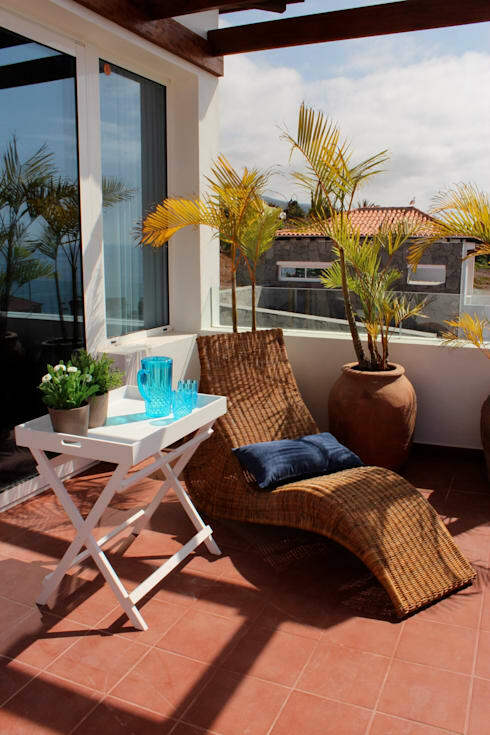 One can easily create a relaxing ambience for themselves by opting for a similar corner setting. 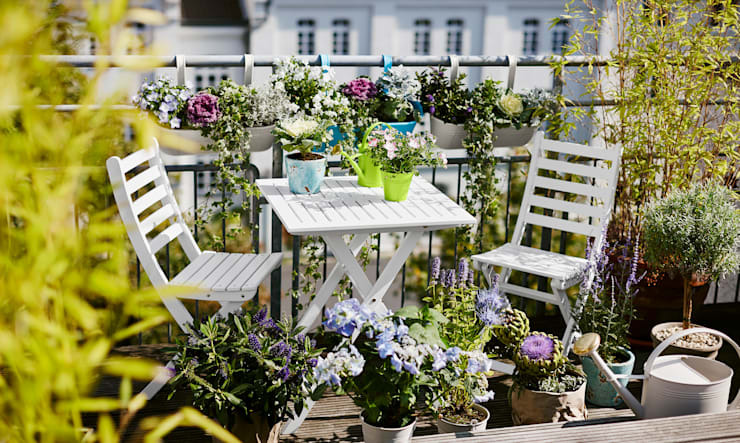 Adding bright colour flowers to your balcony can also transform the space instantly. 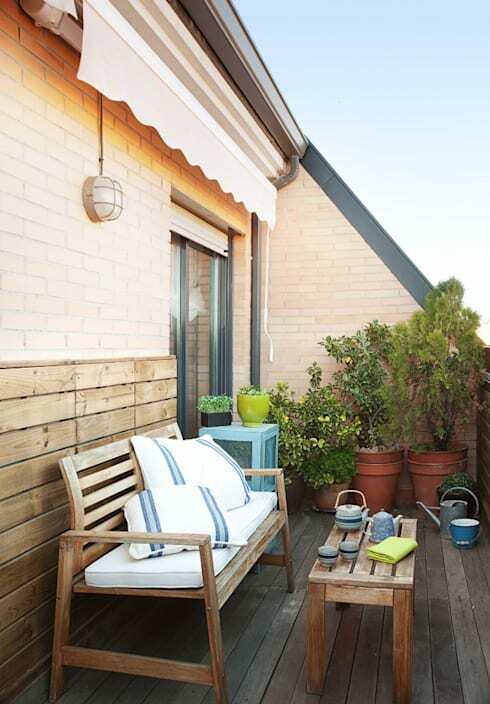 Tiled floors make for a great option while designing a balcony or terrace. Using creative planters like these will not only help you save space but will also make it look fabulous. 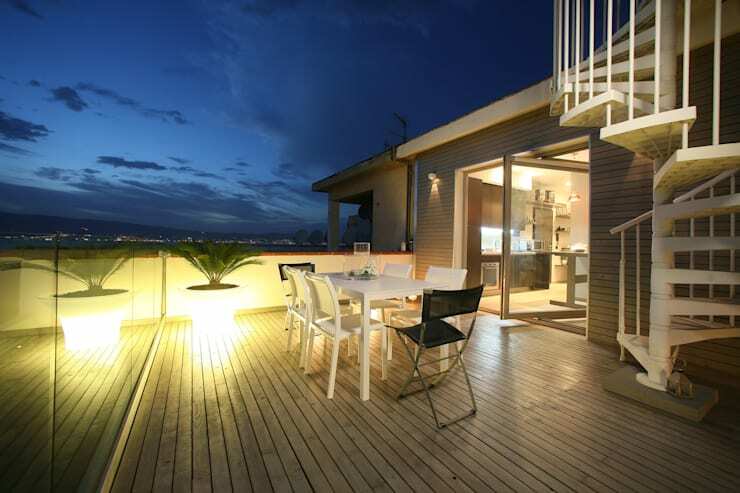 Incorporating a proper light source on your balcony is important so that you can enjoy your evenings as well. If you want to experiment a little then creating a unique flooring using two different materials can also be worth a shot. 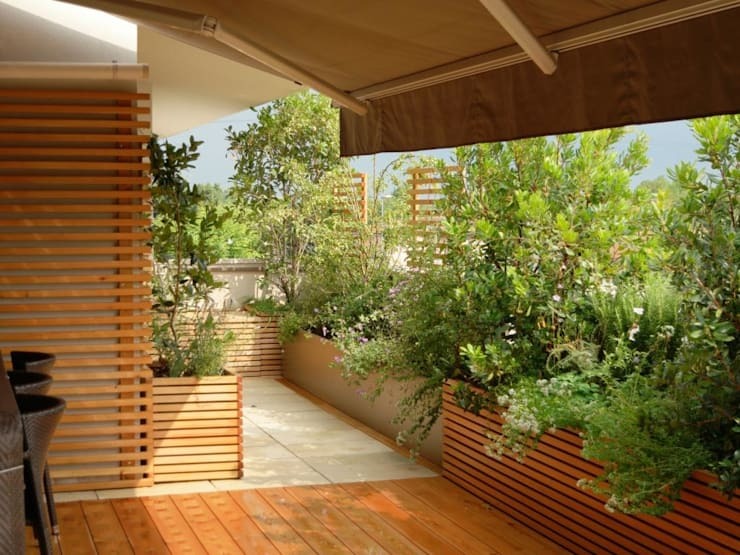 Creating a terrace or balcony by keeping its natural surrounding in mind will allow you to have a rustic space. 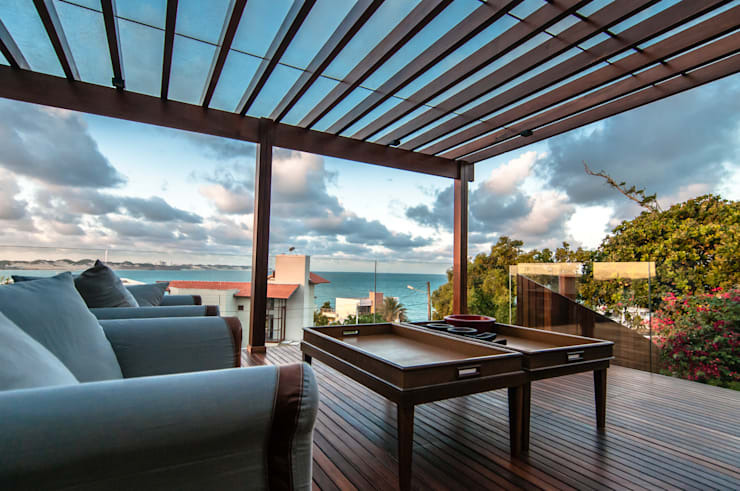 Semi-enclosed balconies like these will let you enjoy the view and also protect you from harsh weather conditions. 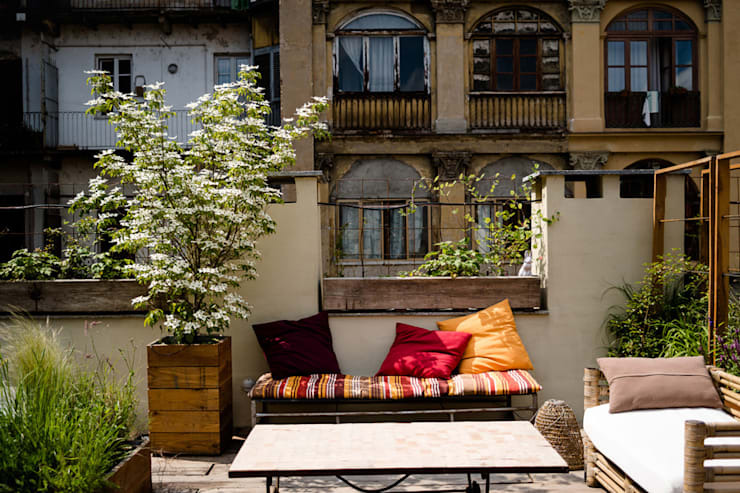 Which one of these balconies and terraces was your favourite?